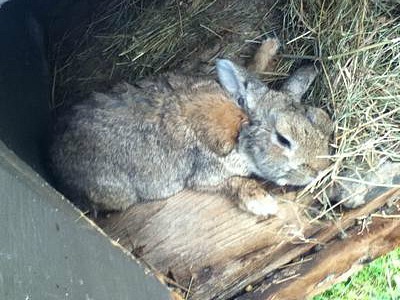 I had a rabbit culled over a week ago that looked very sick. He started out sneezing and eventually his eye got it and we took him to the vets to get shots. But in a few days he went from eating a little bit and standing to eating nothing and barely able to hold himself up (he was over 5 yrs old). I've not culled the ones around him because I don't want to if I don't have to - they seem ok. I've never had a problem with this until now. I was wondering though, are bunnies supposed to have a light snot and wetness/eye goop around their eyes? I don't wanna wrongly kill a bunny out of ignorance (especially because all I have left are two show bunnies until one of my does gives birth). Sorry to hear of the problems. Sounds like the old buck's immune system just got tired, and gave out. You don't necessarily need to cull your other rabbits just because the old buck got sick and died. Perhaps their immune systems are still strong - I hope so. Same for the eyes. There shouldn't be any kind of wetness or goop around the eyes other than the wetness on the eye itself. You might find a tiny piece of dried up "sleep" in the corners of the eyes now and again, but that is all. If you are seeing wet eyes, the problem is not necessarily Pasteurellosis. There are a number of other germs that can get into the eyes and cause conjunctivitis. See if some Terramycin opthalmic ointment will clear up the problem. Plus your vet can help you obtain a proper diagnosis along with an effective treatment. Comments for Pasteurellosis or not?